/ News / — Gourmet Partners. Combining 10 trade shows in 1, Anuga is the world largest food trade show and Gourmet Partners will be exhibiting once again in the ‘Anuga Fine Food’ show. Anuga will be in Cologne, Germany from 7th to 11th October 2017. New brand for 2017 - Joe's Tea Co.
Gourmet Partners are happy to announce another new export partnership for 2017 with Joe's Tea Company. Joe has built a strong new brand in UK food service and retail sector and we will now be working closely with him to help launch and build the brand in a number of new export markets. Committed to organic single origin teas, with an attention on ensuring sustainable sourcing, Joe's Tea Co. have a brand with great potential in the export market offering premium but accessible teas and a strong, fresh, contemporary brand for retailers and consumers worldwide. Working in co-operation with Luscombe Drinks and Kineta Matcha, 2017 sees the launch of their new matcha tea infused fruit drinks. Blending the benefits of Kineta's ceremonial grade matcha tea powder with the premium quality flavours of Luscombe's best selling drinks. Gourmet Partners is pleased to be working with Luscombe and Kineta to help launch the brand in export. We are proud to announce that Gourmet Partners are now working with Mr Filbert's Fine Foods to assist them with their export strategy and to expand the brand into a the speciality markets overseas. With an excellent range of nuts, olives and snacks all seasoned with some of the best flavours from around the world, Mr Filberts have a wide range to offer both retailers and food service customers. Gourmet Partners have been working closely with Peter's Yard to build their brand in the USA market over recent years. Introducing the brand into the market 3 years ago, we have built a sustainable sales network for Peter's Yard, securing listings with a number of distributors and key retailers scubas Wholefoods Markets, Bristol Farms, Dean & Deluca and Central Markets and a number of fantastic independents like the Bedford Cheese Shop in Williamsburg, NY. This year we entered their Pink Peppercorn variety in the 2017 Sofi Awards, winning the prestigious award for the 'Best New Cracker'. The Pink Peppercorn Sourdough Crispbread was one of 154 Winners selected by a panel of 62 specialty food experts from 3,000 entries. Gourmet Partners has been working closely with Melting Pot Fudge and with Warran from Design By Country on a complete brand re-design and a new gift range to be launched later in 2017. True to the contemporary approach of the brand and personality of the 3 sisters being Melting Pot, we are excited to see how the new packaging is received in both the UK and export markets. Gourmet Partners is proud to announce our new partnership with Luscombe Drinks for 2017, who we will be working with closely to build and expand the export markets over the coming years. As many of you will know, Luscombe have strong award winning pedigree and have built a strong reputation in the UK market amongst farm shops, delicatessens and premium food service customers and speciality independent retailers. They are widely acknowledged for their commitment to high quality and great taste and as a result have maintained a reputation as one of the most premium quality drinks brands in the UK for nearly 30 years. From the producers of the Kent & Fraser range of products, Honeyrose Bakery have now launched their own range of sweet & savour retail products which offer both 100% Organic and Gluten Free bakery products. With a consistent growth of the free-from sector and a rejuvenation of interest in Organic products across Europe, Honeyrose is a brand which hits all the right buttons and more importantly delivers with excellent flavour combinations and a commitment to quality ingredients. Gourmet Partners will be showcasing this range for the first time at SIAL 2016, which a full official launch of the brand in early 2017. After over 20 years on the shelves of some of the finest farm shops and delis, The Bay Tree has under taken a complete re-branding of their range, to better communicate the heritage, passion and quality of their products. The Bay Tree have also put together a focused export range, which highlights and shows off their best selling products. Barú will be exhibiting at Speciality Fine Food this year and will be exhibiting their 3 new flavours of uncoated, hand-crafted marshmallow bars, along with their full new range of these gourmet marshmallows, to add the their great offering. Peter’s Yard has added two new packs to their export offering to further extend their acclaimed range: with new single variants of Caraway and Pink Peppercorn. The new varieties will provide consumers with a greater choice of innovative, high-quality savoury crackers. Each new flavour has been carefully paired with a recommended partner, be it cheese or pâté. - Caraway is recommended with a strong, hard cheese. The caraway seeds bring a warm, sweet and delicate aroma to the crispbread. - Pink Peppercorn adds a slight rosy hue and light peppery touch and perfectly partners a wide selection of cheese and works well alongside a rich pâté. Peter's Yard will also be introducing a new mixed selection box for their export customers containing the multi award-winning Original crispbread with newcomers Charcoal and Spelt & Poppy Seed. It's been a busy 2016 on the road for us so far, with trips over to Copenhagen, Dublin, Barcelona, San Francisco, Malmö, Belfast, Cork, London and New York supporting our clients distributors and visiting fantastic international trade shows like Fancy Food in the USA and Alimentaria in Spain. With SIAL in Paris this October and trips to support distributors in both Helsinki and Dubai also on the horizon, we're proud that we have the opportunity to support our brands and their distributors face to face, as we recognise that understanding their markets and customer base is key to building good distributor relationships....(whilst also collecting a lot of air-miles). Visiting the Farm Shop & Deli show in Birmingham this April? Experience the best quality local and regional produce from more than 400 outstanding suppliers over three days. Farm Shop & Deli Show will be packed with new launches, fresh industry insights and trend-setting food and drink. 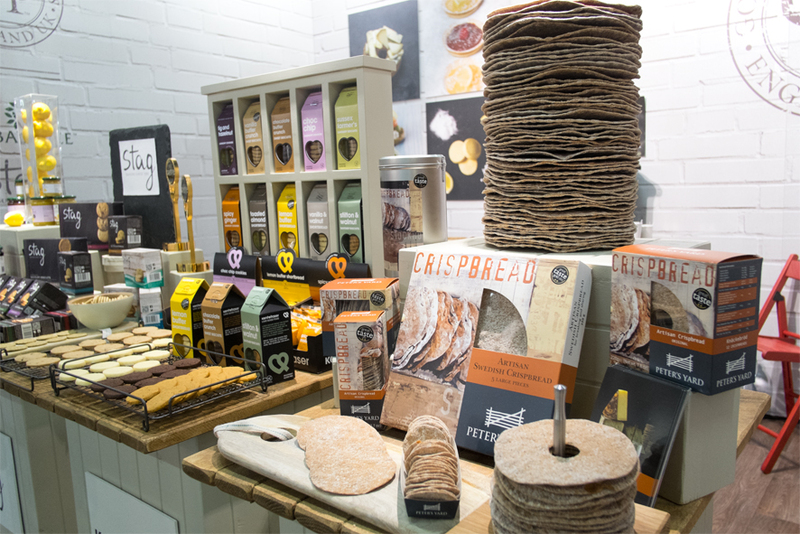 Peter's Yard will also be exhibiting their new 'Knäcks' range, which are nominated in the 'Best New Product' awards - please visit; www.farmshopanddelishow.co.uk/product/11978/knacks-crispbread-bites to vote. Combining 10 trade shows in 1, Anuga is the world largest food trade show and Gourmet Partners will be exhibiting for the first time in the ‘Anuga Fine Food’ show. This the most important platform for fine food producers, importers and their customers from the food business and food service. Anuga will be in Cologne, Germany from 10 to 14 October 2015, with around 6,800 exhibitors from around 100 countries are expected at the fair. Gourmet Partners will proudly be exhibiting in the British pavilion, showcasing 6 great UK speciality food brands – giving our clients a cost effective way to promote their products to a wider international audience and raise their brands profile in the export market. Speciality & Fine Food Fair provides an unrivalled opportunity for independent retailers, delicatessens, chefs, hoteliers, restaurateurs and importers, distributors & wholesalers to meet with some of the leading UK and international speciality food suppliers. Are you attending the show in London this September? Congratulation to our lovely friends ...Peter's Yard & Stag Bakeries who both achieved the top award and received 3 GOLD STARS at the 2015 Guild of Fine Foods Great Taste Awards, with Peter’s Yard also being listed in their Top 50 Foods of 2015. 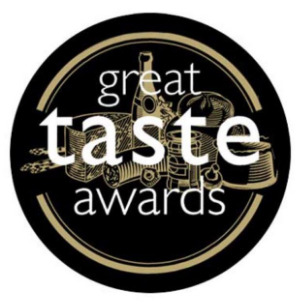 Good to see plenty of Gold Stars all round too for the great ranges of products from our friends Olives Et Al, Patchwork Pate and The Bay Tree. The sales and marketing company took The Bay Tree Food Company, Stag Bakeries, Kent & Fraser and Peter's Yard to ISM in Cologne. “In order to obtain exposure and profile in an international market it is vital to exhibit at key trade shows. It is the ideal place to showcase a brand to international buyers and distributors and to obtain interest and listings. From our experience we realise that it is very expensive for a smaller producer to undertake a trade show in their own right so we put together a concept whereby Gourmet Partners would collaboratively promote carefully selected brands at ISM. This meant that the speciality producer had a good presence at the show but at a fraction of the price it would have cost them to exhibit themselves".